The paper deals with the monitoring system state analysis of residential areas in ecological and economic systems, the results of which are presented in the annual state reports «On the state of the environment in the Russian Federation» and the annual state reports of the subjects of the Federation «On the condition and protection of the environment». The monitoring of chemical pollution has significantly improved. The adoption of a number of federal laws and state standards in the field of protection of the biosphere and people from chemical pollution of the environment has made a great contribution to chemical pollution monitoring. Special attention is paid to the lack of physical (energy) pollution monitoring system of residential areas in ecological-economic systems. Mapping monitoring system of these impacts is designed. Keywords: monitoring of residential areas of ecological and economic systems, chemical pollution, physical pollution. Instructions for implementation of state control over protection of atmospheric air. 2011. SanPiN 2.1.5.980-00 «Sanitation of settlements, sanitary protection of water objects. Hygiene requirements for surface water protection». SanPiN 2.1.7.1287-03 «Sanitary-epidemio-logical requirements for soil quality». State of the environment report of the city of Novokuznetsk. 2010. Report on the state of nature management and environment protection of the Krasnodar territory. 2011. Report on the environmental situation in the Yaroslavl region. 2011. Soloviev L.P., Bulkin V.V., Sharapov R.V. 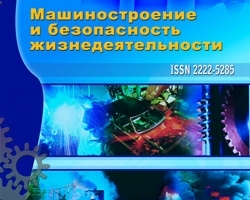 The existence of man in the technosphere // Engineering industry and life safety, 2012, № 1. − P. 31-39. Improvement of monitoring residential areas of ecological and economic systems, №2 (16) 2013, Solovjev L.P.